This section covers the finishes of the MGTD in type, material, and colors. Note: It is generally not considered a deviation from the original if you improve the finish of an item so long as you do not change the texture or characteristic of that item. The table below shows all the body and interior colors available during the production of the MGTD. The radiator grill slats generally matched the interior color. 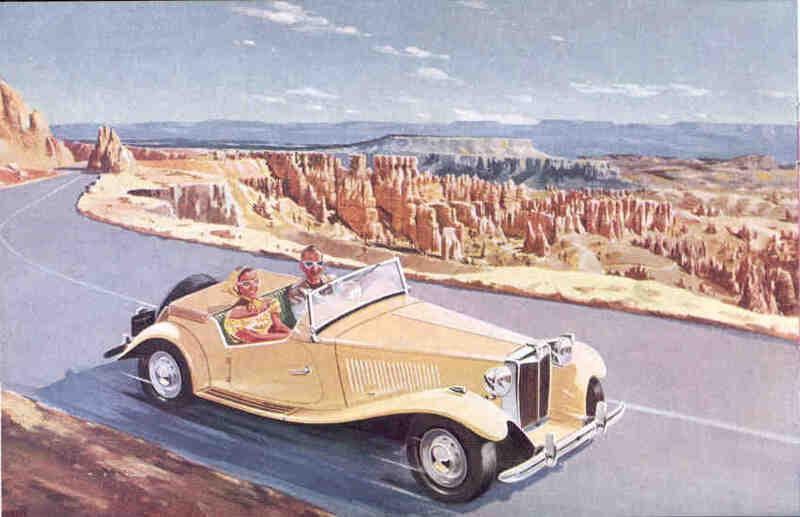 Note: You may click on the image to see a sample of this color scheme from an original brochure. Beige 1949-1951, 1953² On red and green cars the grill color for tan interiors could be either tan or the body color. 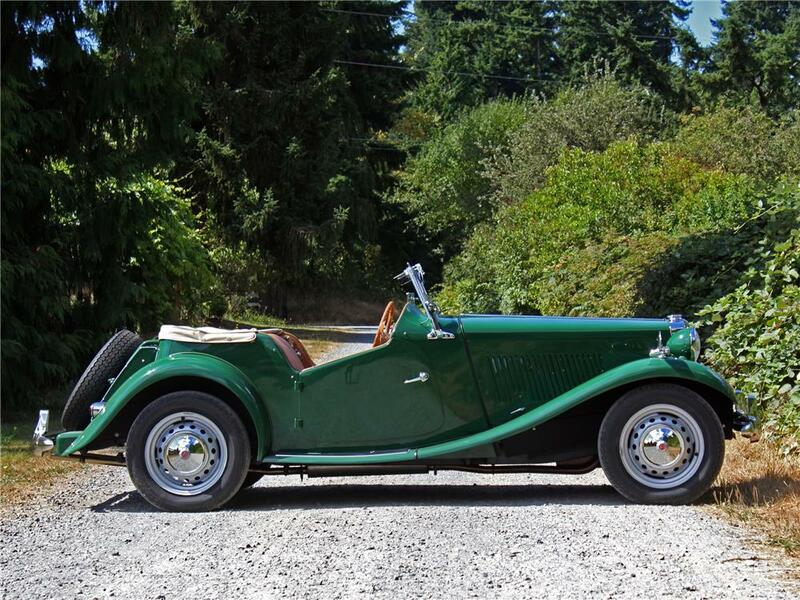 Woodland Green-BRG Green 1949-1953 Replaced Almond Green for export cars in 1952. Almond (MG) Green Green 1949-1951, 1953² Some controversy in the finish of this color. I have seen both metallic and solid and one car had both finishes. 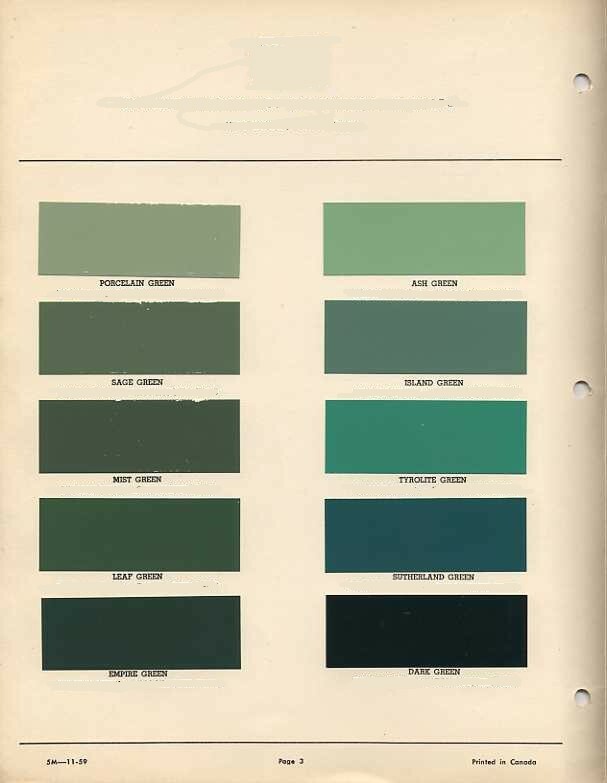 Color changed to Woodland Green for export cars in 1952. 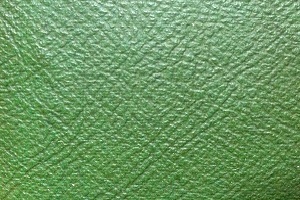 Note the MGTF color with the same name does not appear to be the same finish. Ash Green 1951 A metallic paint. Some cars may have metallic body and solid wings/valences. Grill slats were Almond Green if the interior was green. 1949-1951 Not sure if accurate. Clipper Blue Red ? Not sure what markets this was available in. ¹ Date information used with permission from Original MG T Series by Anders Clausager. Published by MBI Publishing Company 1-800-826-6600. ² Only on non exported cars. Note: The colors in this table are approximate. Due to the nature of each computer display and the limits of the color pallet of your system, there may be a large difference between these colors and the actual production colors. 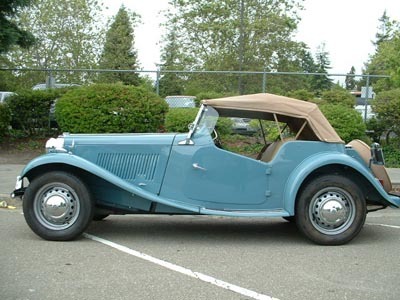 Note: Apparently MG did not have strict formulas or consistent suppliers for their finishes, so even during the production of the T-Series there would be large discrepancies between cars of the same color. The cars were also not documented with their color on an ID plate. This practice did not start until the MGTF model in late 1953. Note: CKD cars were delivered with primer only. 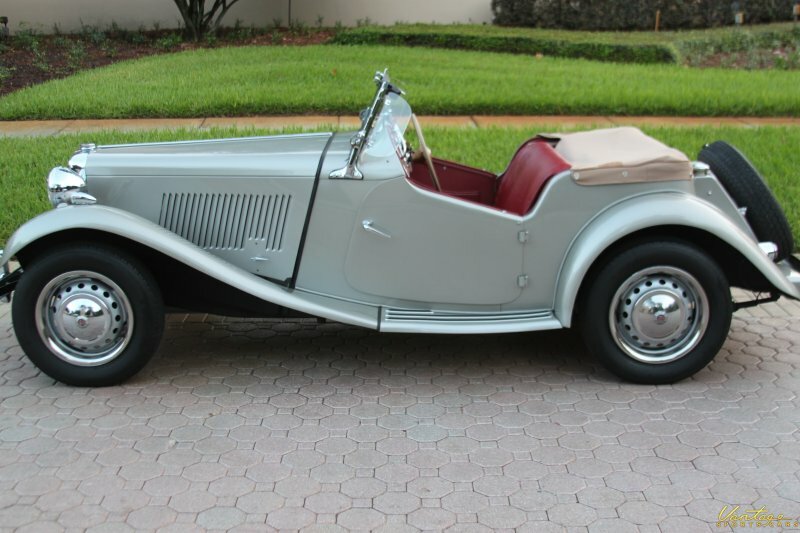 This was also available as an orderable option so any paint color is original on one of these cars. Note:The exterior piping (cord filled fabric material between sheet metal parts) color matched the body paint color. The follow are images for the interior softgoods of the MGTD. There are two versions of the Rexine swatches. The earlier cars Rexine was more like oilcloth, lacking a leather like grain. 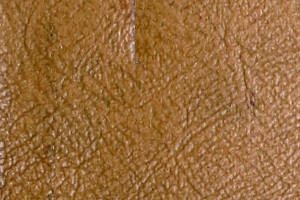 The later MGTD's (approximately mid/late 1951) used a Rexine that more resembled leather and had a noticeable grain look. This table provides a list of formulas or color equivalents to the original colors used for the MGTD. As always you should have a quart (or gallon) of paint mixed first and spray it on a large piece of sheet metal before you decide what color you like. Even better is to get a few quarts of paint and give your car a quick paint job before restoration to make sure you like the color. When you are satisfied with the color choice then you can strip all the paint off and start over. Sounds crazy, but at least you will like the results. If you have a car that has never been stripped of its' paint you may be able to tell what color it was originally by taking off a fender and looking at the area that rested against the body bucket. I was not only able to do that but after the use of a little rubbing compound the paint was in good enough shape in those areas that a color match was done after 25 years of service. 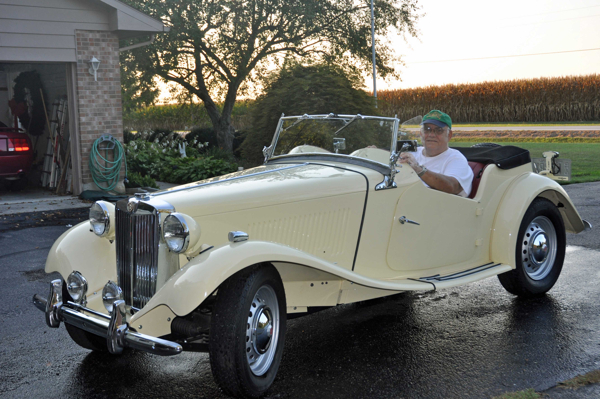 The color was compared to other cars painted the same color to insure that I had a reasonable match. An excellent source for color chips for these colors can be found at the Auto Color Library. Select your year and then select AHMG. They can also custom mix paints for you. Select the color name for a picture of an actual car in that color. † There is a fair amount of controversy about Almond (MG) Green and what color it really is. The problem appears to be that it was offered early as a solid color (1949-1950) and then in 1951 as a very light metallic, or almost pearlescent. †† Not a documented factory color. This is a metallic paint. 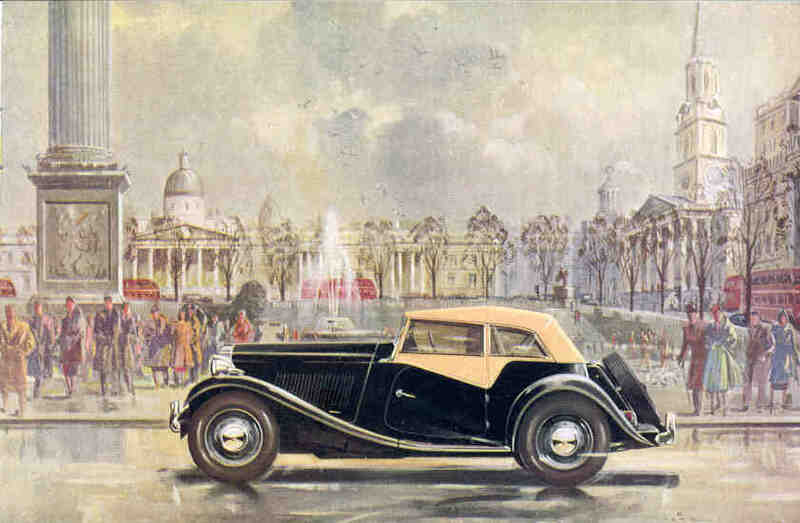 Some cars may have had metallic bodies but solid wings and valences. The picture shown is an unrestored sample. Comparing this picture to color chips of the day indicate it may more likely be Ash Green. ^ These have not been confirmed but I feel they may be reasonably correct. Note: Many of the color numbers listed on this page are no longer formulized. Some of the codes may in fact not actually come back with a good match if the code is still current. I would suggest using these codes only as a starting point and check various formulas against each other before you commit to a given color for your car. Note: Match red or green grills with body color. When body is not red or green then use MG Red or Woodland Green as appropriate for red and green interiors. Tan interiors generally had tan grills. 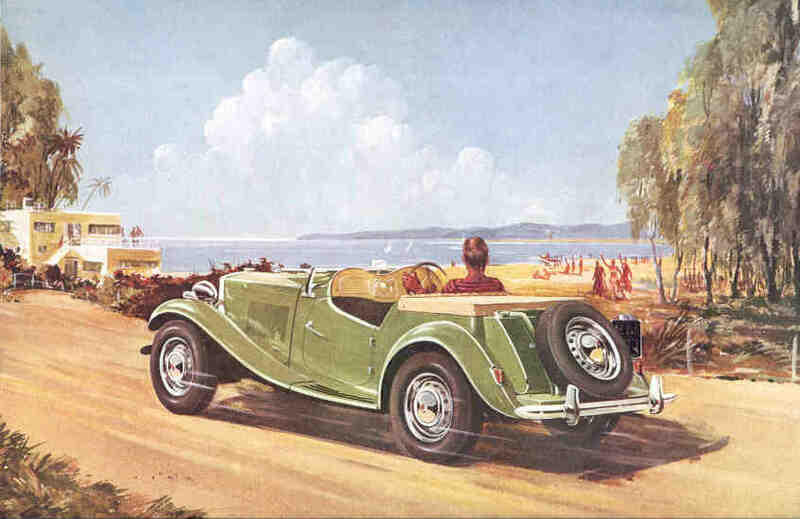 Some red or green cars with tan interiors had MG Red or Woodland Green grills. Note that at least one Almond Green car had a Woodland Green grill with a green interior. Per Dave Hill, who acquired an original ICI Belco 300 series colour swatch for BMC production colours 1954 - 61. The swatch is in fairly good condition with some minor cracking of the painted surfaces, no shading, and is complete. There are well over 100 colour samples, each having the name, reference number and colour recipe on the reverse. 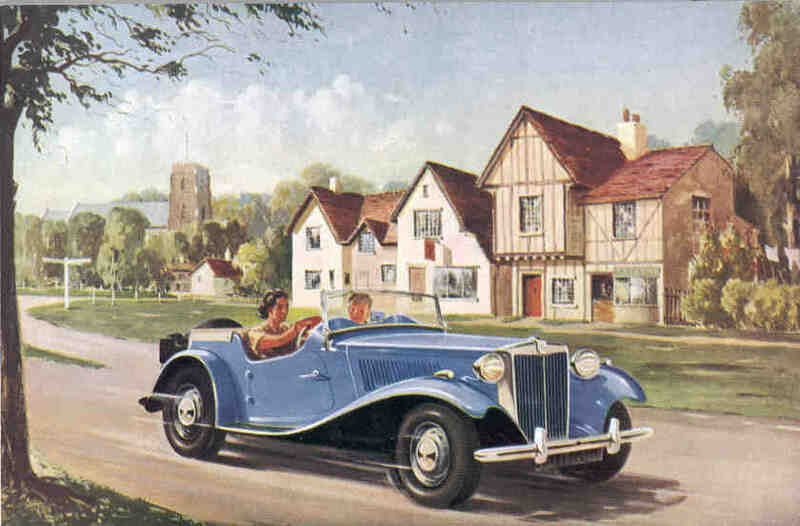 The colour recipes are familiar to me as I worked with many of the indicated pigments and colour matching of automotive colours back in the early 1970s. The pigments appear to be mostly lead chromates, toners, phthalo blue and green, some metal oxides, and a few others. The following table is provided by Dave. 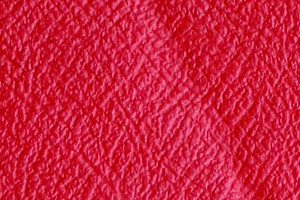 Crimson - Lead Chromate + either some other heavy metals or Selenium. Possibly Cadmium. 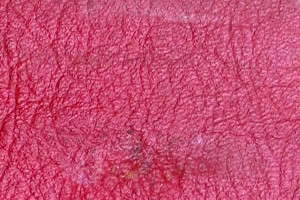 Maroon - Probably a Toner or Lake pigment. Yellow Oxide - Iron Oxide. Monastral Green - Phthalocyanine Green. All would have been dispersed in paint resin, dilutents, solvents, etc. Reduced versions are simply diluted so that its easier to add a small amount for tinting. This table provides colors for the non body components of the MGTD. Note: Many of the colors in this table are approximate and not absolute. But then again, even in the production of the MGTD non of the colors were absolute either, so these are all reasonable choices. ¹ The original finish on the chassis parts was a semi gloss enamel. ² Close engine (220-540 )and instrument panel (220-530) paint colors can be obtained from such suppliers as Moss Motors. 3I believe that the TD instrument panel was the same darker color as the late Tecalemit oil filter canister. The popular color is widely accepted to be the same as the TF instrument panel. 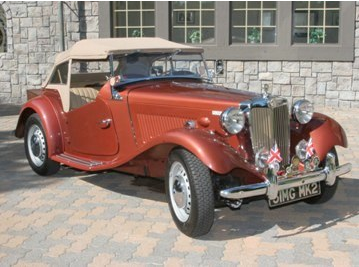 The paint supplied by Moss Motors is lighter than original for the MGTD in my opinion. The instrument panel color I indicate is a good compromise between the two shades. 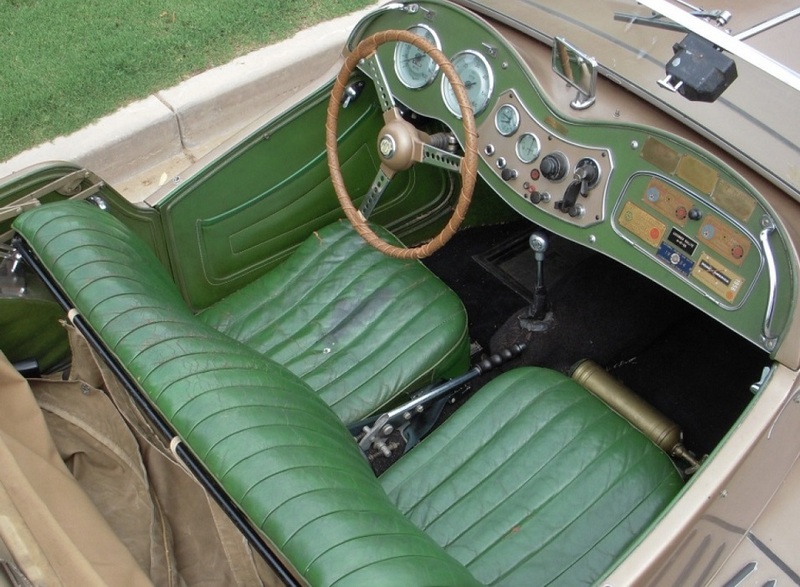 The steering wheel center was often darker than the instrument panel. 4 The color of the valve cover is controversial. Generally it is most widely accepted to be the same as the wheels, a metallic gray. Other evidence suggests that it is a pale green/gray non metallic as shown. 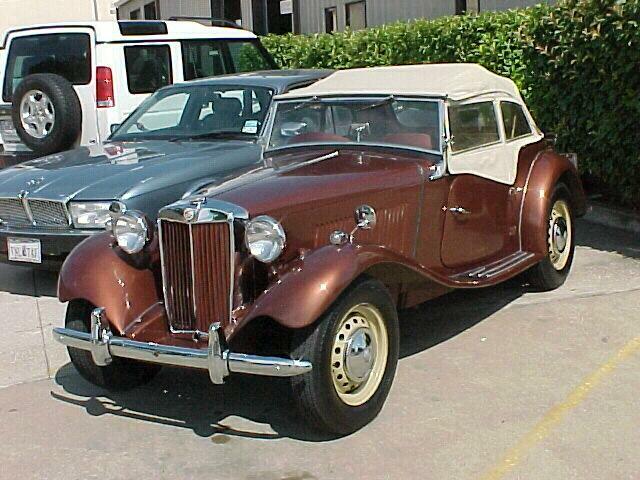 This is the same color that early TC engines and firewalls were painted. I like to use a metallic soft green/gray paint which is a good compromise and believed by some to be correct also. There was a tendency to coat the valve color with clear paint, after repainting it silver, that often turned greenish. For this reason many feel that it was never greenish to begin with, but just silver. Al Moss (who serviced TD's when new) reports that the valve cover and wheels were originally painted with plain silver paint, non glossy. Similar to the finish you would get out of a spray can today. 5This is a Dupont Spectramaster color. There is no cross manufacture formula. Its less dark than the TF top bow and not as pink. More of a warm muddy gray. 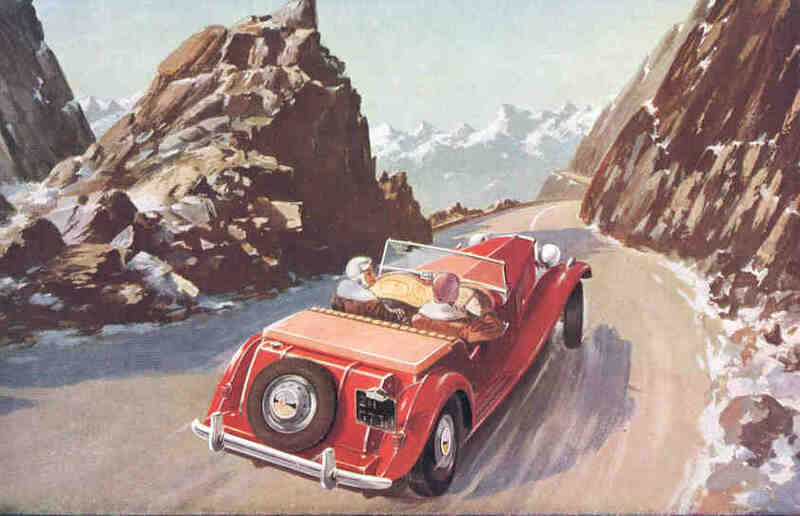 An alternative color on some cars that is less pink and lighter is Dupont 4437. (Quart $18, some also available in 14 oz Aerosol $8) POR-15 inc. The following table describes the finishes on the sheet metal of the MGTD. Fenders, bonnet, front and rear splash aprons, running boards, firewall, fuel tank straps Body Color Both sides of these items were painted with the body color of the car. Fuel tank sides Body Color Note that the fuel tank side panels had the edges chrome plated. The paint actually covered the rolled part of the edges. See the gallery pictures. Body bucket, doors, toolbox lid (outside) Body Color Body color on exterior finishes, black on inside finishes. Note that the black paint was not glossy but a semigloss or satin finish. Used as a protective coating more than a shiny finish like the color coat. Note that on some cars the inside of the panels were painted the body color. The same cars would have the inside lip of the toolbox painted body color too. Toe plate (beneath scuttle), side curtain box, steering wheel column and steering wheel extruder plate, propeller shaft tunnel, gearbox cover and plate, hinge for seat back, sleeve for seat hinge, rear cross brace assembly (behind seat), crank clips on seat back, underside of toolbox lid. Black Note that on 1949 and 1950 cars the top 8-10" of the steering column was chrome. It stopped just past the clamp. Headlamp bodies, headlamp ring retaining screw, King of the Road medallion Body Color Note that on early TD's (50 and 51) the headlamp bodies were chrome plated. 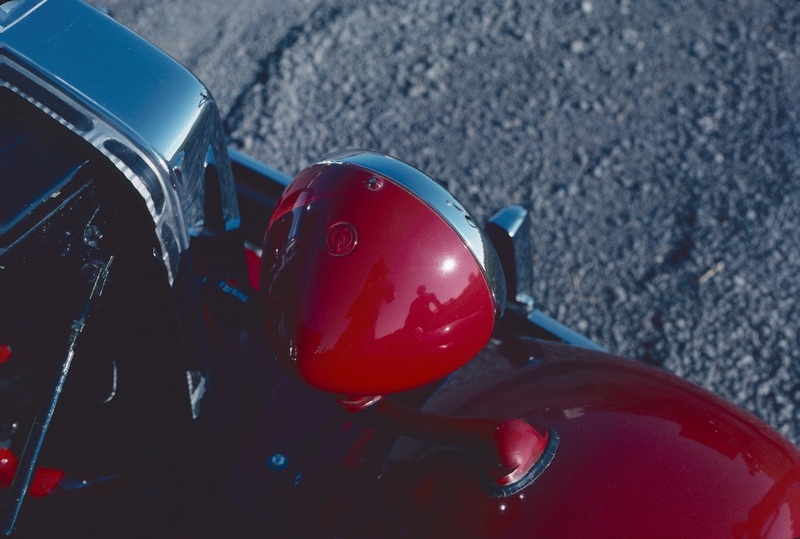 Chrome headlamps reappeared late in 1953 cars. See the note on Gold Seal engines. Engine block, head, tappet inspection cover, water outlet manifold, oil pan, timing chain cover, transmission cradle, bearer plate, transmission housing and cover, bell housing, oil pump housing, main pulley, water pump, fan blade spacer, water branch pipe, throttle return spring clip, front motor mount bracket at waterpump, generator bracket. Engine Red This color was similar to MG red but a little darker. Breather pipe and clamp Engine Red Some cars may have had this painted black. Inlet manifold Engine Red Some cars may have had this painted black. Exhaust manifold, manifold clamps Aluminized This is a spray of liquid aluminum that gives the appearance of a white, softly textured surface. Very hard to keep clean. Engine stabilizer and bracket Black Some like to cad plate the nuts and expander but they were all black. Valve cover Sliver or Light Gray-Green See comments above. Note the two bolts were painted black. 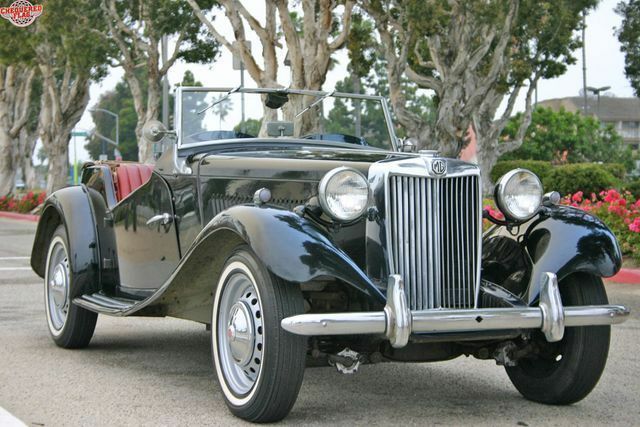 On very early cars the front bolt held the oil cap chain. On later cars a small stud on the valve cover performed this role. Oil canister - old style Orange These were throw away elements. There is a decal that went on these parts. Cast element housings were an add on. Oil canister - newer style 1952 (Tecalemit) Part number I62451 Bronze A slightly darker color than the instrument cluster. The steering wheel center was this color. Oil canister - newer style 1952 (Purolator) Part number I62429 Light Silver-Green Used on some later cars. Noted by the large attaching bolt and capped plate at rear of the filter. They had no identifying plate as on the Tecalemit filters, but were decorated with a decal naming the company and listing the maintenance procedures. Thermostat body, upper hose elbow Black or Engine Red This is a controversial item. 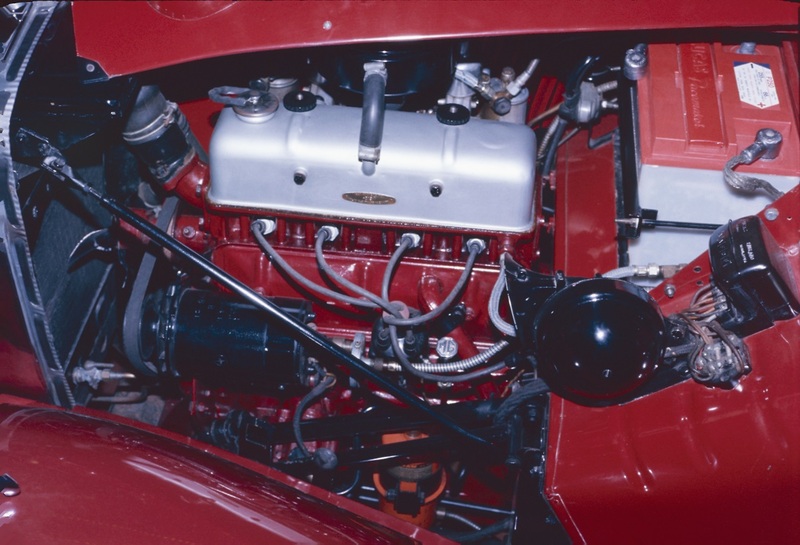 Many believe that this was painted the same color as the engine but replacement parts were black. Others believe that it was assembled as a unit with the radiator and therefore black. All the pictures that I have are not clear on this as they are in shadow. Generator fan/pulley/front plate, distance piece, adjustment arm Engine Red or Black Can either be red or black. The adjustment arm should match the front plate. Engine block drain, oil drain, engine ID plate Natural Brass Some paint this the engine color. The ID plate should be left natural but on original cars the drains were most likely painted red. Oil line - block to head Engine Red Many like to leave the brass ends natural. Most likely all red from factory. Carburetor parts: choke coupler, jet links, springs, couplings, anchor clips Black Oxide Note that these parts were done in black oxide and not painted black. Black oxide is a metal treatment that has a black, transparent type of look to it. It is very common on firearms and tools as well as specialty parts. Most carburetor parts (see exceptions elsewhere), air cleaner wing nut, transmission dipstick cover wing nut, carburetor overflow lines, generator lubricator, tachometer reduction gearbox, distributor body, oil pressure gauge line and brass coupling on firewall Natural Many like to polish these unfinished parts for an enriched look. Carburetors, fuel pump base sections Natural Aluminium Polishing these items makes for a very nice effect but was not originally done. If you do polish these parts it is recommend that you spray the carburetor body with a clear sealer because it will be impossible to keep the polish up after the carburetor is assembled. Fuel pump and carburetor fittings Natural Brass parts left natural. Again polishing and coating with a clear paint will preserve the shine of these parts. Crank handle Nickel Over brass. Radiator grill slats Interior Color It appears that the green and red were the same as the red and green body colors. If you do not have a red or green car, and your interior is not tan, then choose the MG Red or Almond Green as the grill color appropriately. The color that matched tan interior was a light tan color. It is reported that on some red or green cars with tan interiors, the grill slats could be painted the body color. Note See the comment on the Mark II's. Frame, suspension parts, brake drums, brake lines, springs, shocks, bumper hardware (less chrome parts listed below), stiffener tubes and all other chassis parts. Satin or semi gloss black Note most people prefer to use a high gloss paint for all the chassis parts in current restorations because of its look and durability. Rear axle Satin or semi gloss black On some cars there is a TD stenciled in yellow or white on the rear end visible from the rear of the car. Radiator, radiator stays Satin or semi gloss black It is not recommended to finish the radiator fins with a heavy based enamel. Optionally you may first paint the fins with a heat based (exhaust type) flat black finish and then paint the rest of the radiator with a high gloss finish. The original was painted with a very thin coat of satin gloss black paint. 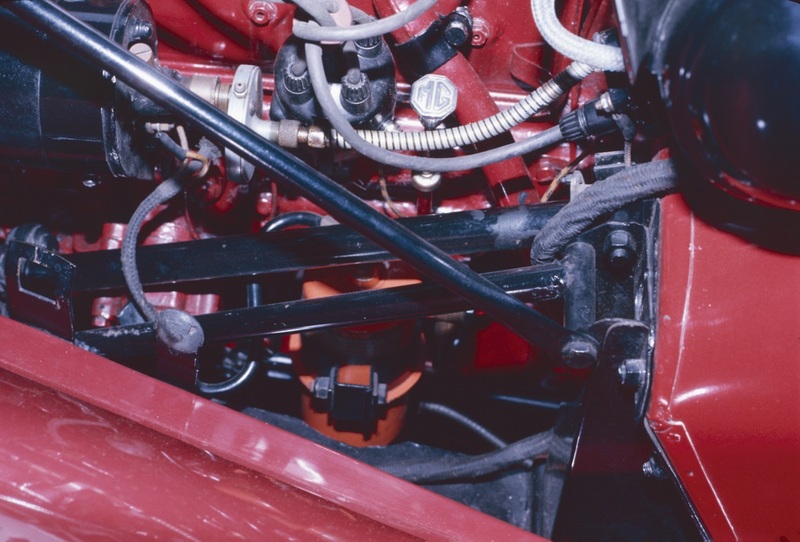 Shock absorbers Satin or semi gloss black Some late TD's with Armstrong shocks were left unpainted for the body with the shock arms painted black. Wheels Silver Al Moss reports that the valve cover and wheels were originally painted with plain silver paint, non glossy. Similar to the finish you would get out of a spray can today. Most today paint the exhaust system with modern heat paint. Originally painted with chassis paint which undoubtedly burnt off in days. Andrex shock bodies for Mark II Natural The arms should be painted black and the nuts on the bodies too. Floorboards, shelf behind seat Black Made of mahogany plywood. Battery box underliner Black Made of mahogany plywood. Note: All woodwork with the exception of the firewall mounting frame was painted black. This was often oversprayed when the body was painted. Seat tops and outside bottoms, seat back face, top of map pocket, top of door piping Leather Dyed to match vinyl cloth interior. Used where wear and tear would be a factor. All door panels, kick panels, seat backs and rears, boot area Vinyl cloth (Rexine) Slightly textured precursor to vinyl. Note that the wheel wells were padded with a thin felt. Also on some cars the wooden area that the spare tyre bolts go through received some light padding. There was a small length of black vinyl that was tacked to the wood floor behind the seats that covered the ends of the wheel wells. This material was folded over at both edges to form a ¾ inch wide strip. It started in the back corner and went forward over the edge. It then turned the corner to the outside of the car and terminated at the panel. It was affixed to a small tack strip. 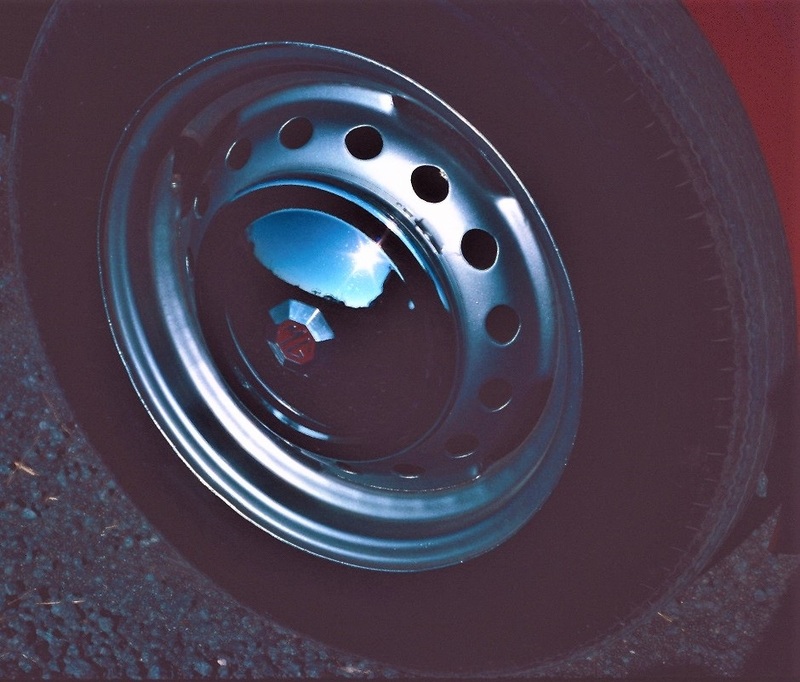 The tack strip is held to the wheel well by three small rivets. Also to note that the piping from the rear at the hood tack strip, down under the doors and along the dash top, was all one piece. This material was similar to the piping used on the fenders. At the location of the door strikers the piping was opened up and the spline was removed to allow clearance for the door striker. The striker underplates had holes in them to allow for tacking the piping in place. You will see a tacking hole in the inner metal plate for the door latch to tack the bead down. On many cars the hidem that was used to hide the tacks on the panels was in one piece. This means that the panels were put in place at one time as the hidem continued from one panel to the next. This is especially evident from the front kick panel to the door sill panel. The door panels, the panel under the door, and the panel around the rear wheel arch are a three ply plywood about 2-3 mm thick. The panel in front of the doors is a about a 2 mm thick piece of black cardboard (fiberboard) so it will bend over the "scuttle" hoop. Besides being tacked on around the door, there are two small chromed wood screws with finish washers at the front to hold the front panel on. On earlier cars all of the panels may have originally been made of fiberboard instead of plywood. The hidem is one continuous piece from the door latch to where the rear panel and the panel below the door meet. There is a short piece of hidem from the door latch to the top of the front panel. The rear panel's hidem is sewn on also, but it is not continuous with the hidem of the two other panels. The trim panels are long enough to go clear to bottom and meet the main wood beam across the bottom of the car. The floor boards are cut slightly narrow on the outside to allow room for the trim panels. Dash underpanel Black vinyl (Rexine) There was a hole under the clock large enough for a hand to fit through to allow the clock to be reset. The panel was made of hard fiberboard (similar to cardboard and the same material as the glovebox). Glovebox Interior Brown flock like coating Must have been sprayed on. Tonneau cover, top, side curtains Tan canvas Similar to light tent material. Side curtain windows were made of celluloid and yellowed immediately. Side curtain nuts were painted tan. Toolbox White woolen felt Note that the lip on the inner toolbox would be either black or body color. Side curtain box Black woolen felt Inside box and inside the door. Gear lever gaiter Black leather Could either be black or interior color. Carpets Black short hair wool Carpets were untrimmed. The carpet under the seats was separate from the carpet in front of the seats. There was no carpeting behind the seats, over the rear end. 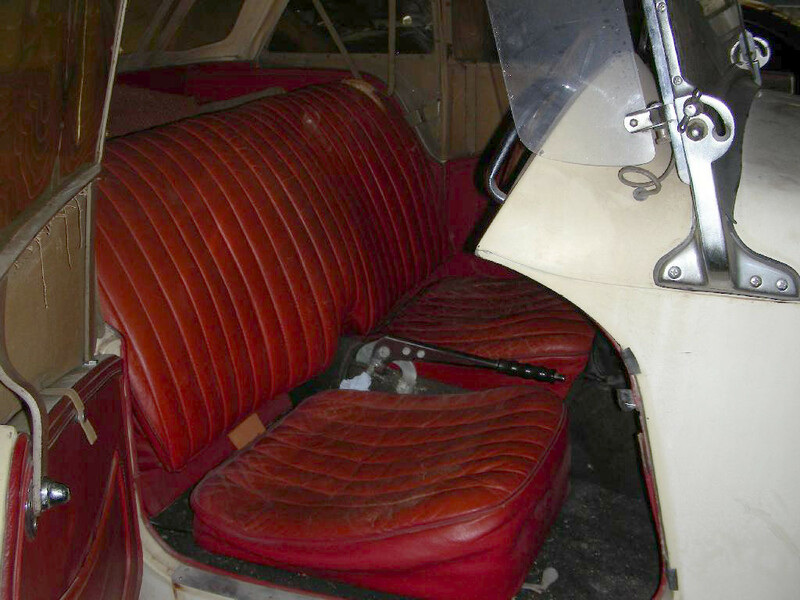 Under the arch of the seat back, covering the emergency brake cables, was a piece of cardboard covered by carpet with the front edge bound in black leather (black Rexene is also acceptable). Under the drivers feet was stitched a rubber mat. 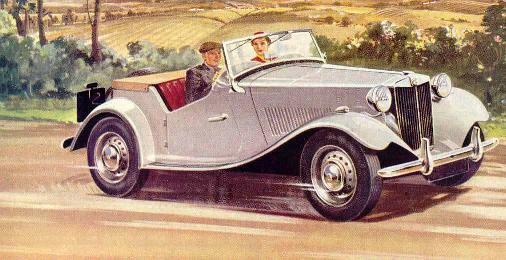 The drivers side on LHD cars starting in the 1951 model year had a rubber footwell with the MG crest. This was sewn into the carpet through a recess about halfway from the edge. On some cars a leather patch was sewn onto the transmission tunnel to prevent wear from the accelerator foot. Headlamp bodies, headlamp adjusting nuts*, headlamp rings, headlamp ring retaining screw, King of the Road medallion Chrome Note that on later TD's (late 51, 52 and 53) the headlamp bodies were painted the body color. Some very late 53's had chrome bodies again. Headlamp bracket to radiator bolt Chrome Some cars have this body color or black. If you paint the bolt then paint the nut and lock washer too. Other wise the bolt and lock washer would be Cad. Radiator hose clamps, air cleaner clamps, steering excluder clamp Cadmium Zinc plating is often used as a substitute for Cadmium today. Note that etched writing or background on nickeled items were painted black. Plates were made of brass. Plates held in place with brass round headed slotted screws with square nuts. Oil cap and knob Nickel Silver or Cad Some cars show the oil cap body as cadmium platted with the knob nickel plated. The chain was cadmium plated. Air cleaner manifold Polished Aluminium Some like to paint the background of the MG Logo red or black. Transmission dipstick, engine dipstick Chrome Some like to paint the background of the MG Logo red or black. Hub cap medallions Polished Background painted red. Radiator medallion Chrome Brown MG on cream background. Late Mark II's had black MG on white background. 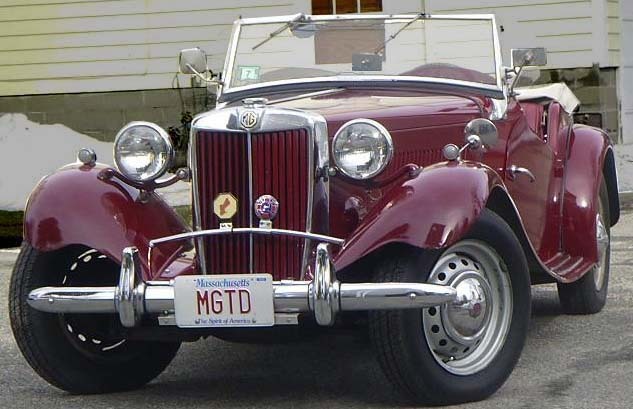 Door threshold plates, running board strips Polished Many like to use the "MG Car Company" threshold plates which were not original to TD's but to MGTA's. TD's had plain threshold plates. The threshold plates were held in place by slotted flat headed woodscrews. Some may have been brass. Firewall bolts, wood frame and caulking Body Color While most of the car was painted in pieces prior to assembly, there were a few exceptions. In some cases items were assembled and then over-painted with a color coat while others had bolts and fasteners hand painted after assembly. The firewall and body bucket were painted as an assembly which meant that the firewall bolts were painted the body color. Rear license plate brackets, rear license plate lamp base Black Optionally can be color of body. Fuel tank brackets and bolts Black Rubber not painted. Spare tyre carrier, headlamp brackets, bonnet latch screw heads, headlamp bracket to radiator bolt and nut, headlamp support bracket through radiator shell Body Color Some large headlamp bracket bolts may have been chromed but most were hand painted body color. If you have chrome brackets you can consider chrome bolts, otherwise stick to body color. The nuts seem to always have been either natural (Cad) or painted body color after assembly to reduce chipping. Fuel line Black This was part of the chassis assembly and got painted black. Many today polish this with copper polish for a nice effect. Steering wheel center, steering wheel cap, and instrument panel Bronze The steering wheel may have been a bit darker than the instrument panel but most will paint them to match. It probably depended on the source for each part as they came from different manufactures. Instrument panel carriage bolts Black Oxide Looks black but it is not paint. Its a metal treatment. Door checks Body Color Many have these chrome or cad plated as they scratch so easily. Bonnet latch receivers on fenders, bonnet bumpers Black Some have reported their cars had body color but I have seen no evidence of this. Water temperature tubing Black Oxide The wrapped wire is black oxide while the tube is oxidized copper. Windscreen wiper motor cover and body sides Black wrinkle paint The lube access ports and screws were cad. Don't paint the spacer block. The face of the wiper motor was just satin black. Grease gun body Black Oxide Actually bluing, a special form of black oxide. Cap was stainless. Tyre pump Black Spring, rod and top cap were cad or natural metal. Wiring Harness Black Black with two thread yellow tracer. 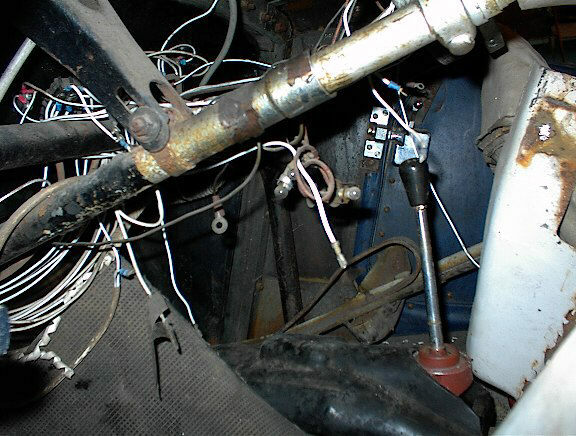 Note that the fog lamp wire was encased in a rubber sheath. The rear license plate lamp wires were encased in a rubber tube (1/2" OD) from the spare tyre rack exit point to the lamp.